It was July 3, 1994, when 40,000 stunned Kiwis sat in the stands of Eden Park attempting to contemplate and compute what they had just witnessed. The All Blacks had lost at home to France in Auckland in what was their third straight loss on the trot, though they had witnessed one of the sport's great tries thanks to Jean-Luc Sadourny's effort later labelled 'The try from the end of the world'. Seven years previous, almost to the day, Eden Park was in a state of euphoria as the partisan crowd saluted the winners of the inaugural 1987 World Cup. Fast-forward to 2011 and it was a similar state as Richie McCaw hoisted aloft the old William Webb Ellis trophy which drew to a close 24 years of hurt. 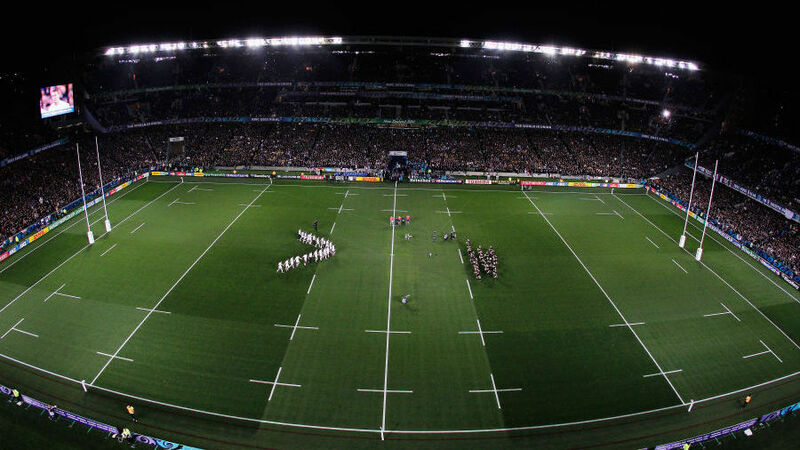 It's a ground the New Zealanders hold close to their heart but when they first ran out on Eden Park back in 1921, you could have forgiven the locals for wondering why they chose to play on the old swampland as they lost their first match there 9-5 to the Springboks. Since then, out of the 75 times the All Blacks have played at the old stadium, they have fallen on 10 occasions. It is part of New Zealand's legacy and history and although their winning ratio at the ground is not up to the standards of Dunedin's now torn down ground Carisbrook or their more recent ventures to Wellington's Westpac and the Waikato Stadium in Hamilton, it is still an essential part of their legacy. Most All Blacks who have played in the stadium treasure the memory. Sean Fitzpatrick was part of the crop who won the 1987 World Cup and he believes it is a place as close as New Zealanders have to a national stadium. "They won the World Cup there so it'll be a ground they hold pretty dear," Fitzpatrick told ESPN. "Some grounds are better than others. Twickenham's now become a bit of a fortress for the English. Not having a national stadium doesn't really worry the All Blacks. Wherever you go, they love you when it's Test rugby." Scrum-half Jimmy Cowan, who won six of his 51 caps for New Zealand on that patch of Auckland turf, has only fond memories of playing there. "I think it's a bit like Twickenham, it's home," Cowan told ESPN. "There's no better feeling than when you're running out in front of your own family and friends and playing alongside the boys. It means a lot to us. They haven't lost there for 20 odd years so they hold Eden Park close to their hearts." The current holder of the No.9 New Zealand jersey Aaron Smith also spoke of Eden Park with a sense of fondness when he addressed the press on Thursday. "We're playing in our home ground for once," Smith said. "I've played them twice and it's not too much fun at Twickenham. That's their place, they like to play there and it will be nice to play them in a place I like to play as well. Eden Park's a good ground and there should be fireworks in a sense and hopefully we're making the bigger bangs." When England run out on Saturday, they will have to beat the 15 men in front of them, the 50,000 strong attendance and the weight of history and nostalgia from which the All Blacks can draw from. It is a case of mind over matter. They may look to the 1973 match played between the two sides when England pulled off a highly unlikely win triumphing 16-10. Tour manager Sandy Sanders said at the time they had "plucked the crown jewel of world rugby" while The Times reported "a great many of the 55,000 spectators most warmly saluted England's heroes". It is doubtful they would receive the same reception if they pull off an unlikely win on Saturday. For Stuart Lancaster, Saturday will be his second trip to the stadium after witnessing England's sorry demise in the previous World Cup when he was a mere spectator watching their quarter-final loss to France. It is now his task to confound the doomsayers and help inspire England to an unlikely victory. When asked about why the All Blacks are just so successful at Eden Park he pointed towards the team itself and added: "I'm sure it suits their style, a nice flat track and on a decent evening you can see why the All Blacks would play great rugby there. When you pack it full of passionate supporters it's difficult." Like Smith, Fitzpatrick and Cowan, Lancaster added he was sure the difficulties away sides face at Eden Park is similar to those teams who struggle at Twickenham. For Lancaster and captain Chris Robshaw, if they are to win on Saturday, they must demystify aura of Eden Park. They must look on without any emotion and treat the ex-swampland like their own former cabbage patch back above the equator in London, a view Robshaw subscribes to. "It is any other ground. We've been to some tough grounds, we went to Ellis Park, Millennium Stadium and they're as tough as coming to Eden Park I think. "Whenever you get to anyone's national stadium, and we kind of view Eden Park as that, it's always tougher. But I think it drives all the guys to stand together." Preview: Nightmare in the Garden of Eden?